Bowie Wong was born in Hong Kong, China in 1969. 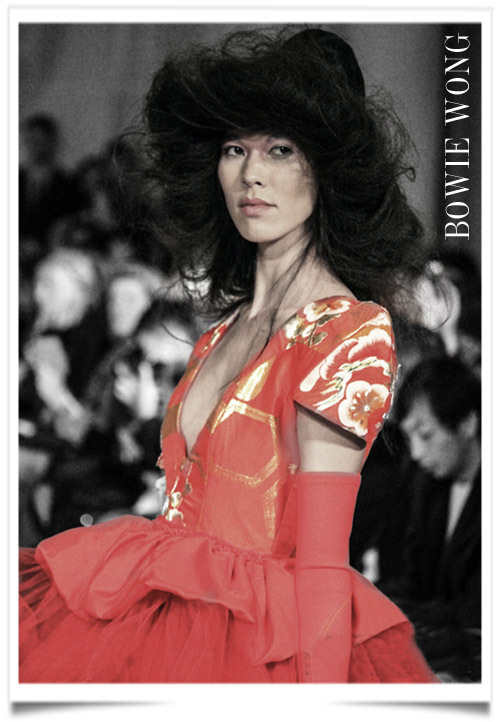 As the son of a Chinese opera singer, Bowie spent his childhood surrounded by stage costumes, to which he showed interest in design and fashion at an early age. As a teenager, he studied Pure Design in Japan and carried on his studies in Canada, where he learned the art of Stage and Costume Design. This entry was posted in BREAKING MODE, BREAKING NEWS, FASHION SHOW PARIS 2015, PARIS FASHION WEEK 2015, WATCHS and tagged bowie wong, modeaparis, MODEPARIS by admin. Bookmark the permalink.